Our clients are growing and changing constantly. SwiftLeadership™ was created in response to today’s dynamic environment. Leaders at all levels struggle in creating the delicate balance between managing activities and leading people. SwiftLeadership™ allows organizations to custom-select those pieces of information critical to the success of their employees. Whether you’re an executive who needs to refresh some of your leadership skills, or a lead who recently moved into management, we’ve put together a suite of products and services that are ideal for you! Our development workshops provide continual growth opportunities to managers at all levels in organizations. We offer offsite and onsite workshops which provide simple, practical, affordable tools to teach managers at all levels how to be more effective leaders. Take a look at our current workshops. A complete program designed to be delivered by managers to front-line supervisors during their regularly scheduled staff meetings. Everything you need to ensure your company has a solid HR foundation as you grow your revenue and your team. We partner with either a single individual or with the management team to develop and improve their overall effectiveness and productivity. 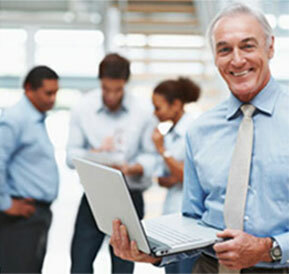 In our group process facilitation, we work with the entire management team to drive strategic planning and direction.